This recipe is amazing! It is so easy to make and extremely nourishing. One of the best things about it is that it is naturally sweetened and contains high amounts of unsaturated fats that will help you feel satisfied until lunchtime. It also goes perfectly on top of a delicious smoothie bowl. The amount listed here will make a big batch that will ensure you don’t run out during the week! 1. 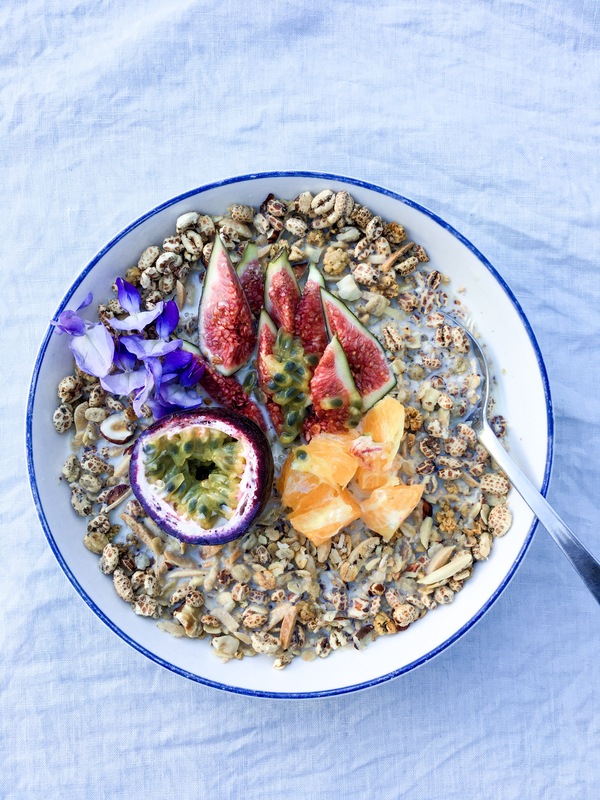 Mix the oats, puffs, almonds, coconut, sesame seeds and rice malt syrup or honey together in a big bowl and pour a generous amount of tahini through the mixture! The tahini should COAT the muesli so that all sections have tahini mixed through. 2. Put the mixture in a baking tray and let it bake in a pre-heated over for 20 minutes (approximately) on 150 degrees celsius (or until it goes brownish). 3. In the meantime, chop the hazelnuts and white mulberries into small bits. 4. Take the baking tray out and add the hazelnuts and mulberries to the mixture. 5. Place it back in the oven for about 10 more minutes or until the whole mixture is golden brown! Previous Are you at risk of the most common nutritional disorder in the world? Next What should I eat to improve my skin?